This featured red carpet circle bracelet contains 297 round cut diamonds that are prong set in 14k yellow gold. At approximately 4 carat total diamond weight, these round cut diamonds are graded by our Master Gemologist at a G color and SI1-SI2 clarity. Like most of our diamond bracelets, it is safely secured by a box catch with hidden safety clasp. 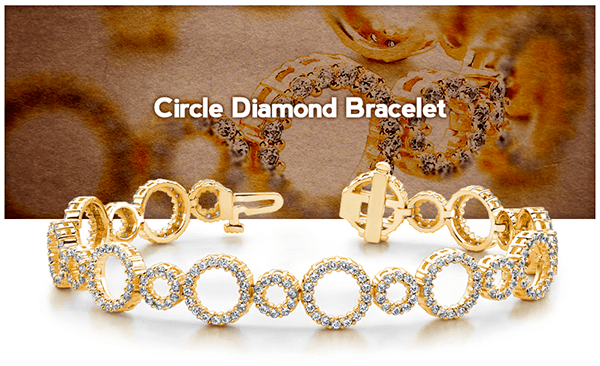 To learn more about this bracelet, click here: Circle Diamond Bracelet in Yellow Gold or to browse our collection of diamond bracelets, click here: Diamond Bracelets.